Organisers are hoping for a perfect ten when the Mulberry Bush Montessori Balfron 10k marks a decade of successful races in April. Having grown from a small village event to one of the most popular fixtures on the national running calendar, the race will be celebrating its landmark year on Sunday, April 24. Appealing to both the serious runner as well as the weekend runner and first-time 10k-er, the event’s popularity has seen it consistently appear in the top rank of Runner’s World magazine’s league table. 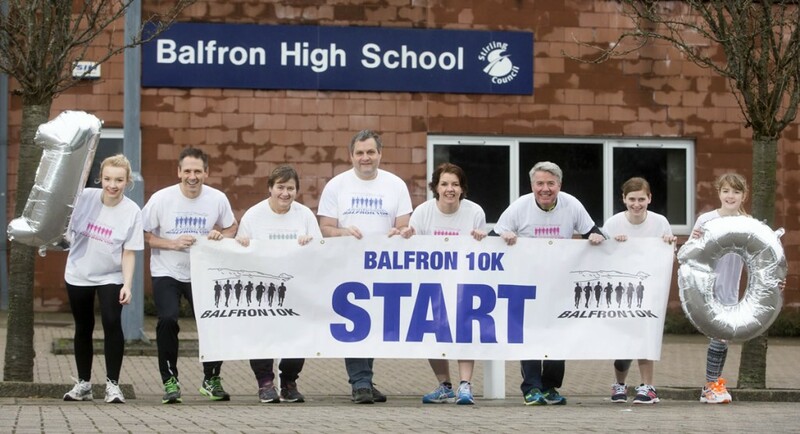 And the runners’ pain has seen others gain – in the past ten years the event has raised more than £60,000, with the funds being split between Balfron Primary School, Balfron High School and nominated charities. This year the Stirling-based mental health charity Action in Mind will be a beneficiary as amongst its many services, it offers counselling support to pupils at Balfron High School. This entry was posted in headline, press. Bookmark the permalink.